GAIL (Gas Authority of India) Limited, announced its special Recruitment drive for SC/ ST/ OBC/ and PWD candidates online applications from Indian nationals fulfilling the eligibility criteria for filling up following Executive and Non-Executive Govt. Job recruitment posts. Total Posts for Executive – 38 Posts. Total Posts for Non- Executive – 55 Posts. Chief Manager (HR): Bachelor Degree with minimum 55% marks and Two years MBA/ MSW with specialty in Personnel Management & Industrial Relations/ Human Resources Management. Chief Manager (Law), Law Manager: Graduate Degree in any discipline with minimum 55% marks and Bachelor Degree in Law.Manager (F&S): Bachelor Degree in Engineering in Fire/ Fire & Safety with minimum 55% marks. Manager (Medical Services Specialist in Medicine): MBBS degree with Post Graduate Degree (MD) in Medicine. Senior Superintendent: Bachelor Degree of minimum 03 years duration in Hindi Literature Bachelor Degree of minimum 03 years duration in Hindi Literature. Senior Accountant: Intermediate or equivalent in CA/ ICWA. Senior Superintendent (HR): Bachelor Degree of minimum 03 years duration and Diploma in Personnel Management/Industrial Relations. Last date for submission of Application:- 21 November 2018. Application fee for OBC (Non- Executive) candidates -50/-Rs. Application fee for OBC (Executive) candidates - Rs. 200/- to be paid online. No application fee for SC /ST/ PWD Candidates. Candidates who are eligible and interested for the above posts can apply Online through Gail Online Website from 22/10/2018 to 21/11/2018. 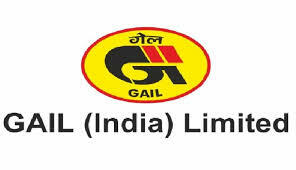 If you want to know more details about the above job openings or want to know about job notification and application format then please check official website link of GAIL India Limited, please visit http://gailonline.com/hindi/CR-ApplyingGail.html.